Our Kids Day Out is always a great family day out for all. The event is held in Ballina at the amphitheatre and like previous years will be focused on children, especially those who have been in Children's Ward and Special Care Nursery over the years. Clowns, rides, children shows and food will be there as well as the emergency services for the children. This event is free and is a wonderful family day out. Morgans Financial partner with Our Kids and the Lismore Turf Club to host this black tie event to raise money for Our Kids. Last year the event was booked out with 350 medical and business people of Lismore wining, dining and dancing the night away at the Lismore Turf Club. For more information about the Winter Ball please contact the Our Kids Office. The aim of the Our Kids Community Grants is to assist and improve the health of children in the Northern Rivers. Grants are available to children's health services within hospitals and community health services, parents and guardians, special groups for chronically ill children and health professionals who live within the Northern Rivers. Our Kids annually allocates $20,000 to these grants. 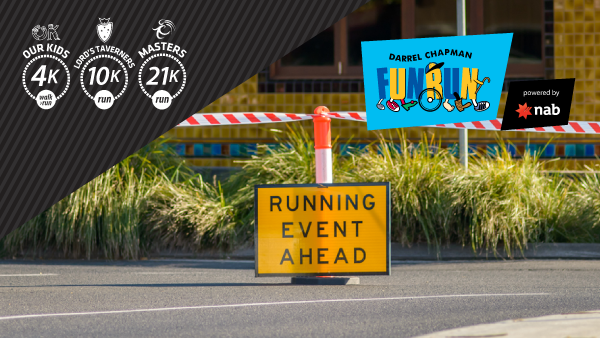 This Fun Run is in memory of Darrel Chapman and is sponsored by NAB. The Fun Run will host a 4km walk, a 10km run and a half marathon. This is an inclusive community sporting event organized in conjunction with Lord's Taverners NNSW and the Lismore City Council. It is a great day out for all. Organised by our local golfing talent, Peter Warren, Ray Lindwall and David Seymour. As always the game will be a four person Ambrose, with golfers and non golfers most welcome. The Our Kids Melbourne Cup Luncheon at Southern Cross University is an afternoon filled with fine food and wine and incredible prizes. With a sensational luncheon, fantastic company and an opportunity to win up to $5,000 worth of Jewellery from the Fairmarket Lismore Antique Centre, plus many over $25,000 worth prizes from our sponsors, the afternoon always promises fun entertainment for everyone. Tickets go very fast, so if you'd like an invite to the 2019 luncheon please email to info@ourkids.org.au or call the Our Kids Office on 6620 2705. The Samson Challenge is a four-person team event with each team put through nine gruelling challenges, which includes a farmers walk with jerry cans, a prowler push, 130kg truck tyre flip, burpee challenge, 2x2km run, 1km swim, the sled plug and a crazy obstacle course to complete. The quickest team to complete all the challenges wins the coveted Samson Title and bragging rights for the next twelve months. The Samson is a major fundraiser for Our Kids, the charity that raises money to purchase paediatric equipment for the Children's Ward and Special Care Nursery at Lismore Base Hospital. $115,000 to purchase paediatric equipment for Our Kids in our local hospitals! Keep up to date with what is going on with the Samson by heading to the Lismore Samson Facebook page.